Let the mouths move, the agenda churners busy themselves, and the chatterers pretend to move mountains even as they remain indifferent. As if one needed to be reminded exactly what the World Economic Forum meeting at Davos is all about, we are ready for the usual assortment of characters among the 2,500 and more participants. 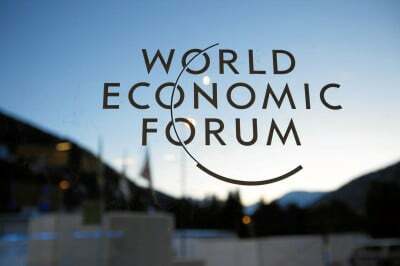 There are the usual cast of financial directors and CEOs at the 45th annual Davos meeting. Unilever’s Paul Polman, Santander’s Ana Botín, Google’s Eric Schmidt, and Facebook’s Sheryl Sandberg, are among some of the names. There are a smattering of the celluloid creatures who think that off screen activity resembles their onscreen prowess. Leonardo DiCaprio, for one, is circulating among the groups, a Wolf of Wall Street come good. There are food activists and screen chefs – even Jamie Oliver has decided in muck in with his calorie narrative. The preferred choice of travel for these aggrandized luminaries is private jet. Numbers come in at 1,700, about twice the usual number. This has led to a scramble, and jet “jam” at Swiss airports. There is no getting away from it then. The WEP is, according to the BBC, a “talking shop”. The Beeb goes no to say that, “Arguably, though, it is the best of its kind in the world.” Conceptually, it was based on a business model that has become all too common: if the entrepreneurs are allowed to roam free in a valley in the Swiss mountains, germinated ideas will be exchanged. Such discussions also take place, rather overwhelmingly, between men; a mere 17 percent of participants are women. The chat show also involves various groups that reflect the global hierarchy of influence: the largest numbers stem from Western Europe, followed by the United States. Africa and Latin America supply the least number of delegates. Such gatherings have varied in their temper, though they never deviate from the overwhelmingly corporate nature of the enterprise. At its initiation, it was European businessmen who gathered to chew over the significance of practices in the US corporate room. In 1974, political leaders were added to the guest list. The content hardly improved, though it did provide an ominous sign about the link between technocrats and capital. It is a link that has never been broken. For all that, the Swiss retreat has managed to create a false aura of influence beyond its limited guest list. “The only reason I’m here, and I shouldn’t be here” according to Oliver, is the “trust” he has with the public. This is a point that is hard to sustain, though the once Naked Chef may well be genuine about it. Being honest at Davos, however, tends to be a far more difficult proposition than, say, finding the Higgs Boson. The tones at the current conference vary between the utopian and dystopian, though they always slant towards “working” suggestions on such topics as poverty and security. But every platform worth its promotion on a global scale tends to find an opening at the WEF in the hope of ventilation rather than resolution. Bubbling away on the discussion panels is the topic of refugees, a monster of a problem remains suspended. But the Davos-WEF approach is not going to be a place for recommendations. Instead, we are treated to an echo-chamber of reassured narratives, the sort that ignore growing global inequality and the increasing toasting of the earth. The latter is hardly changed by the pop-tart efforts of Al Gore and singer Pharrell Williams to get business leaders to move from their cold cuts. This could be gathered in points made by Federica Mogherini, EU Foreign Policy chief, which tended to encapsulate a serious point with much piffle in a chat to CNN’s Christiane Amanpour. We are all in agreement, she suggested, on how to deal with refugees, we just have not been quick enough. The problem with Davos is the problem of unreality and distance. People go to Davos to talk to people who go to Davos and what people who go to Davos do. There is no incentive to alter what is always being discussed as alterable, even though bun fights take place over what should be placed on the discussion list. Whether it is Oliver’s insistence on calorie intake (the hidden sugars in children’s diet), or a weapon’s merchant suggestion that robots, rather than humans, can do battle against each other, the World Economic Forum is a site of stasis. It is as cold as its forum and Davos Man is all fed and watered, going nowhere in particular.